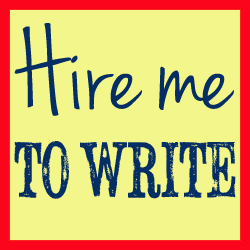 Content Writing Services for Social Media Marketers, Bloggers and Webmasters. Every Twitter user wants more followers. Whether that is to look good to their friends, to have a wider audience to promote their business to or to find more interesting people to follow themselves, it is a common theme and one that is much discussed. There are easy ways to get many thousands of followers with little effort, and there are more complex ways to build followers gradually. While the former may seem like the obvious option, the latter is in fact a better choice for long term, engaged followers rather than spammy, vanity followers. It is possible to buy Twitter followers. On certain websites, many thousands of followers can be bought for just a few dollars, and those who want to impress by having 20,000 followers, compared to their friend’s 160, can do this easily, quickly and inexpensively. However, many of the accounts which will follow you in the hours after your purchase are spam accounts, fake accounts and accounts with no real person behind them. It may look good on your statistics but it will bring no added business your way and no interesting people to talk to. The alternative way to gain more followers is actually a good lesson in how to get the most out of Twitter. Look at your tweets from the last few days: if you were a stranger checking out your stream, would you honestly follow yourself? Have a look at your own account. Are you engaging with other Twitter users? Responding to others’ tweets? Re-tweeting others? Or are you just blasting out your own marketing message with no regard for the people who already follow you? Looking at your account in this way will help you to see whether or not you are an appealing prospect for other Twitter users to follow. If you are confident that you are engaging well with others and providing an interesting stream of information, you will have a lot more success in gaining new followers. If, on the other hand, you see that your tweet stream is predominantly self-promotion or auto-tweets then rather than starting to try and find new followers straight away, instead spend a few weeks focusing on improving the way you use the site. Talk to others, don’t self promote more than once in every 10 tweets and don’t be serious 100% of the time. Once your account is looking better you can then start to court new Twitter prospects. One way to do this is to chat to more people on the site. This includes people who already follow you, as well as those who you would on your follower list. When people see how interesting and helpful you are they are more likely to follow your account. Another trick is to follow more people yourself. Don’t do this in a mass, spammy way. Instead, choose people carefully who would enhance your account and people who your account will appeal to. If they get email notifications every time they get a new follower they may well check out your account straight away and follow you back. Join in tweet chats. These are usually held at specified times, once a week or once a month, and they involve like-minded people having a discussion which is curated by the use of a relevant hash tag. So if your website is about freelancing, look out for Twitter chats for freelancers and make sure you participate in the next one. There is often a specified topic for each chat so make sure you will have interesting things to say and others will undoubtedly follow you as a result. Use the Twitter search function to find other people who are discussing your favourite subjects. If you are passionate about wrestling, search on the Twitter website for the term “wrestling” and you will find all the recent tweets on the subject. Say hi to the people who seem to share your interests, follow them and see if they follow you back. Clearly, all these ways are far more time-consuming than buying followers, and you will not gain thousands of followers overnight, but the people you to find and make connections with will be far more relevant to your own Twitter account, far more interested in what you say, and far more likely to engage with you. This is a much richer way of gaining new Twitter followers than simply giving someone a fiver and waiting for your numbers to fly high. It is, after all, a social networking website. It works best when people are sociable and networking with others. While buying followers is an easy ego boost, it requires no effort and is neither fulfilling nor useful. Sign up to receive occasional offers and news. Do you need outstanding social media content? Social Media Writer | Powered by Mantra & WordPress.